Khang Nguyen, a major voice serving the Vietnamese in one of Boston's largest neighborhoods, is part of a group trying to bring cultural district status to Dorchester, which means it could be officially called "Little Saigon" or "Viet Town." A group is trying to bring cultural district status to Fields Corner in Dorchester, considered to be one of most ethnically diverse areas. Organization estimates nearly 5,000 Vietnamese are living in Dorchester with more than 100 establishments owned by Vietnamese entrepreneurs. Not everyone is on board with the proposed named change, with some saying it leaves people out. There’s a name debate going on in one of Boston’s largest neighborhoods. A group is trying to bring cultural district status to the historic Fields Corner, considered to be one of the most ethnically diverse areas in Dorchester. Khang Nguyen is a major voice serving this emerging inter-generational community through his weekly online videos. He’s also vice president of the Vietnamese-American Civic Association of Massachusetts where he helps many refugees and immigrants who fled the tiny Southeast Asian country after the war. By his organization’s estimates, there are now nearly 5,000 Vietnamese living in Dorchester alone, and more than 100 establishments, including restaurants, grocery stores, a senior center, and a cosmetology school, are all owned and operated by Vietnamese entrepreneurs. Nguyen says it’s now time for the Fields Corner commercial district to reflect this majority. "We want the name, that will prove it is current to this situation," Nguyen said. Nguyen is part of the working group trying to bring cultural district status to the area, which means it could officially be called “Little Saigon” or possibly “Viet Town” to reflect his people’s roots. 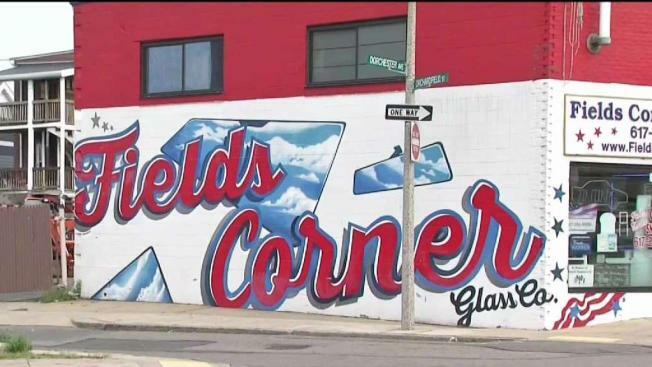 "Just to be clear, we are not renaming Fields Corner or everything that says Dorchester," said Boston City Councilor at-large Michelle Wu, who is helping all the community stakeholders navigate through this process that is now getting a bit complicated. "We just saw it the year before in Jamaica Plain with a district now called Boston’s Latin Quarter." But not everyone agrees with the proposed name change to reflect Vietnamese roots. She wants a name that reflects everyone’s roots and history, something like "Fields Corner Cultural Cross Roads." Gartley says she is trying to make sure no one feels left out. "If people don’t feel welcome or invited in because of the name, then that doesn’t serve the neighborhood well," Gartley said. But Nguyen says there’s no animosity between the two sides. "Candice is a great person. She helped community a lot," Nguyen said of Gartley. But Nguyen says he just hopes the Vietnamese will one day get the proper recognition for helping revitalize the area. The working group meets again later in August, but whichever name is decided upon will still need city council and state approval.